A finished size of 4" wide x 8" tall will leave enough room at the top opening to fold it over for a water tight closure. 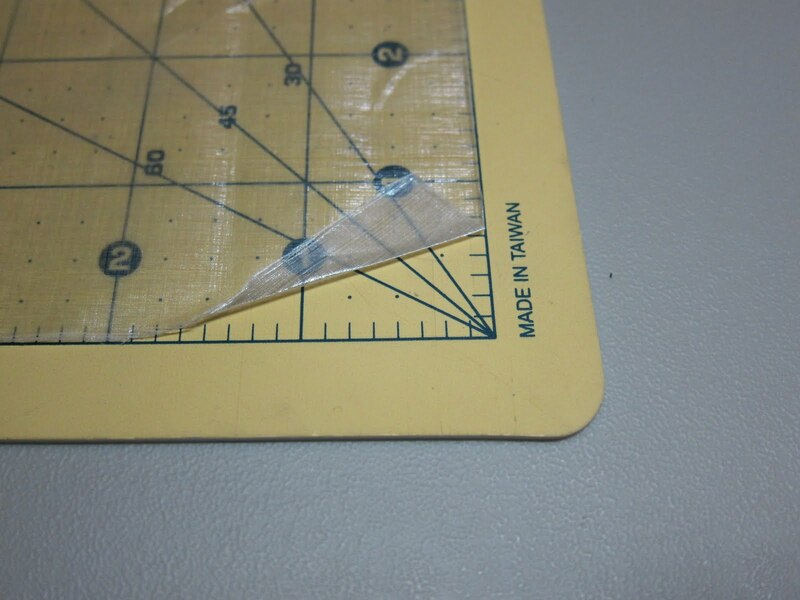 With a 1/2" seam allowance on the side, and 1" at the top and bottom, the cut size needs to be 9 x 10. 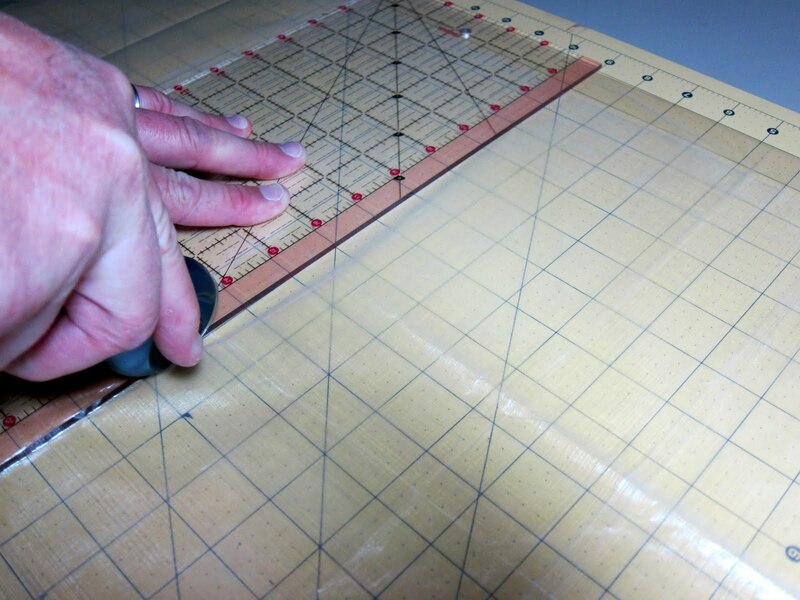 Once the piece is cut out, start by working on the top draw cord channel. First, fold both sides at an angle to allow for an opening that the draw cord will enter and exit through. (The right side of the photo is the top of the sack). Next use a straight stitch to secure the angled flap. This will prevent it from pulling out with the draw cord. 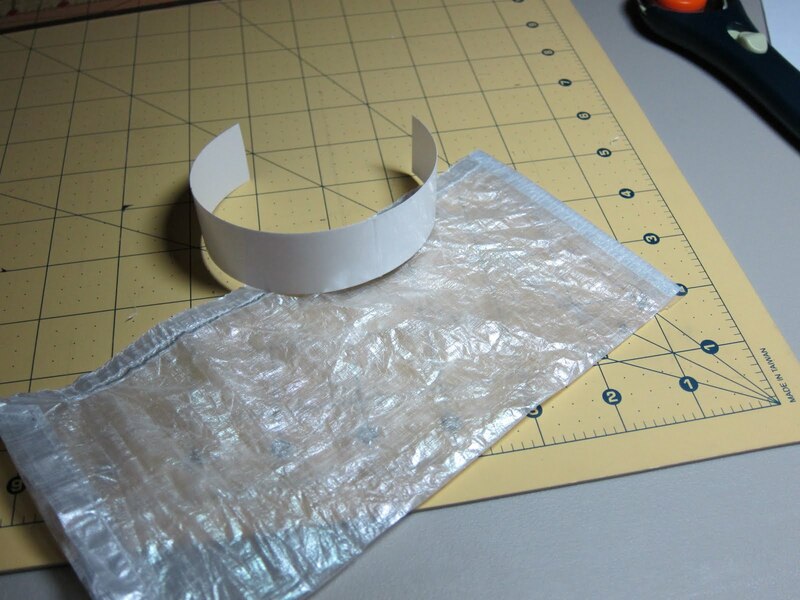 Then fold the top down twice to make the draw cord channel, and sew it closed. Now it's time to sew the side shut. I like felled seams for sides of stuff sacks for their strength. 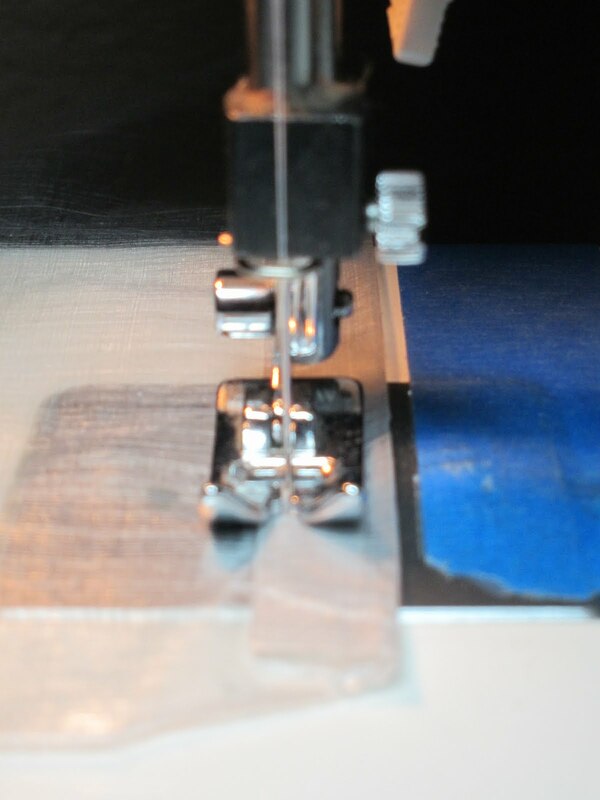 Start with a 1/2" seam allowance, inside out of course, and sew using a straight stitch. Then fold the flap down and sew the end to the body of the material. 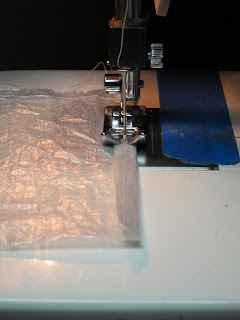 Note that this can be a difficult seam to master at first, especially with a stuff sack this small. Remember to pull the material to the sides in order to keep the seam nice and flat, and go very slow. 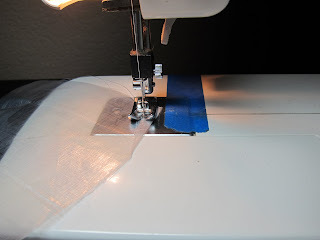 This is an area that is easy to sew something into the seam you don't want. If you do, not big deal, just pull out the bad stitches and continue. Next comes the bottom. With a small stuff sack like this, I don't worry about squaring off the bottom corners to give it the ability to sit upright. In this example, the draw cord will come out of the side, but you could also put it in the middle depending on your needs. 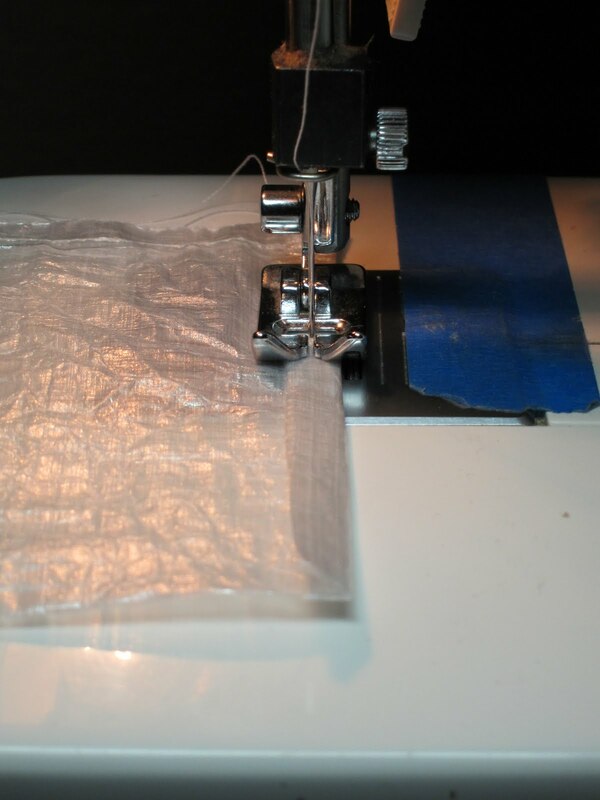 Fold the bottom over twice, and still inside out, sew a straight stitch. Since this will be seam taped, I will only use a single stitch. Now it's time to apply the seam tape. Simply cut it to size and apply. It's always good to clean the material with rubbing alcohol first to maximize adhesion. 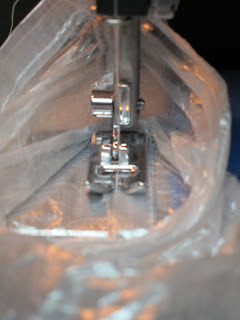 After you have applied seam tape to the side and bottom seams, turn the stuff sack right side out and add your draw cord. 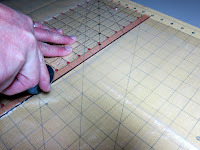 An easy method to calculate the length needed is width x 2 + 4". Since this sack is 4" wide, I needed a 12" long piece of draw cord. Fish it through the top channel with a safety pin, add a cord lock, and tie the end. 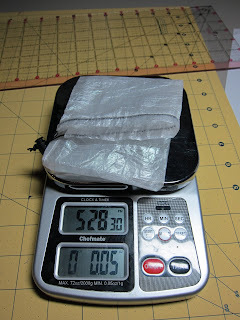 There you have it, a custom sized waterproof stuff sack. This one only weighs about .07oz (my scale was going back and forth between .05 and .10, so I estimate .07). This little project will serve me for years, and I can't think of any alternative that would be any where near this light! I have only just come across your blog and i must say it is excellent. I like your ideas and the fact that you share them. My other half, the good lady Sheila also had a look and said “don’t even think about it, you are not getting a sewing machine for Christmas.” Well there are still a few weeks to go till Christmas so you never know. I have never considered making my own dehydrated food either but you put over a good argument to have a try. Thanks....Alan (Sheila’s done a runner). Actually, my sewing machine is an old one my wife had, and not an expensive one. 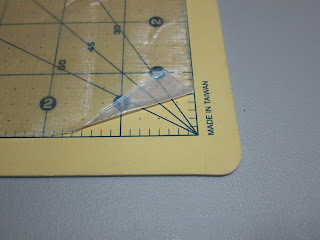 I found that as long as I get the stitch balanced for the material I am working with, it does just fine. I've been thinking about making a few stuff sack. I was just wondering why kind of thread do you use?? Frank, i always use Gutermann thread on both nylon and cuben fiber, and it has never failed me. The trick is to get a balanced stitch.